NuGet Gallery | Packages matching Tags:"Circular"
50 packages returned for Tags:"Circular"
Platform.NET A cross-platform library of useful classes and extensions for C# and .NET. The CircularBuffer<T> class is a data structure that uses a single, fixed-size buffer that behaves as if it were connected end-to-end. You can use it as a first-in, first-out collection of objects with automatic overwrite support and no array resizing or allocations. Open source JIT Dependency Injection. Just another one - we know! But this follows the same design principles of Google's Guice. MIT License Has been used in 20+ Games which have had a combined download of 25M. Production ready! This is a flexible ListView that has a grid and horizontal layout with reusable cells for Android / iOS. This has two layouts (GridCollectionView, HorizontalCollectonView). HorizontalCollectonView can circulate scroll. A general purpose, cross-platform binary/text serialization library. High performance classic ring/circular buffer (with optional .NET BCL System.IO.Stream interface) for byte data. Packaged as a portable class library (PCL). Asynchronous I/O from streams is supported to boost performance. Supports concurrent reading and writing, and overwriting (optional). 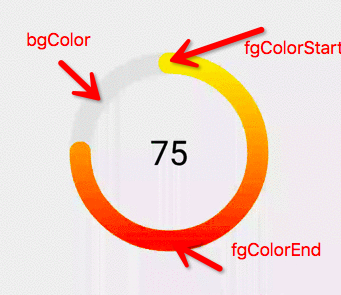 Android library for progress component with coloured overlay. Don't forget to add "Mono.Android.Export" as reference.